It wasn’t easy but the United States Sailing Center Inc. was able to keep its piece of the Coconut Grove waterfront for at least another decade. The Florida not-for-profit corporation had campaigned for more time. 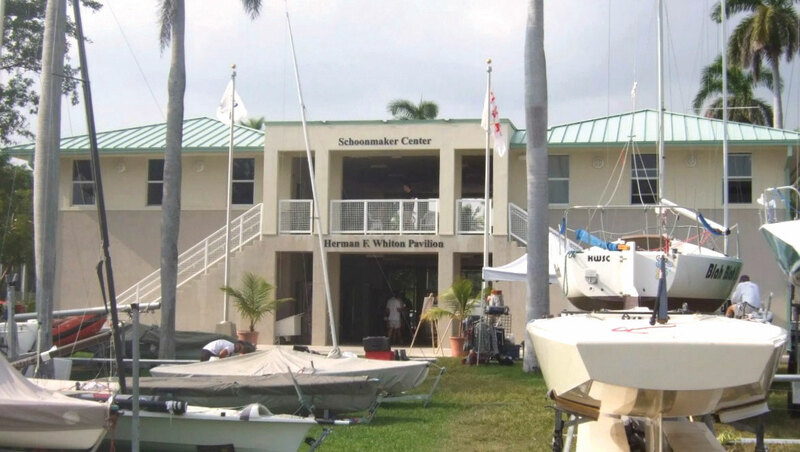 The US Sailing Center Miami is one of only 18 official US Olympic Training sites sanctioned by the US Olympic Committee, and the only one for sailing in the US. The city is the owner of real property and improvements at the site, 2476 S Bayshore Drive, and the US Sailing Center as lessee has been operating the center within David Kennedy Park since 1986. City staff and representatives for the US Sailing Center had worked out a proposal for a new 15-year lease with two additional five-year options to renew. The proposal first came up at a commission meeting earlier this spring but was deferred. Many residents and athletes who have used the sailing center spoke strongly in favor of the new deal, and some begged commissioners to do all they could to keep the facility in the Grove. After debate over procedure and the appropriate duration of a new lease – with two-, five-, eight- and 10-year extensions discussed – the commission voted 4-1 for an extension of 10 years, with two additional four-year options to renew. Commissioner Joe Carollo had concerns about the new deal, and ultimately was the lone “no” vote. The matter required a four-fifths vote to waive competitive bidding and to execute the agreement. The city charter provides that the commission may waive competitive bidding and referendum requirements when entering into a lease or extending a lease with a non-profit, noncommercial, water-dependent organization that provides marine-recreation services or activities to the community at any city-owned waterfront property, provided certain conditions are met on public access, public use, waterfront setback and view-corridor requirements, fair return to the city, compliance with the master plan and requirements prescribed by ordinance. The new deal will increase the rent to $2,250 a month or 12% of gross revenues, whichever is greater, to be increased annually by 3%. The sailing center has been paying about $1,000. The resolution said the proposed rent was determined by two independent appraisers to be fair market rent for the property. The US Sailing Center has agreed to “initiate and continue a summer sailing program specifically geared toward underprivileged children within the city, exposing the children to the benefits of the facilities for the duration of the lease; and … the Lessee and the City desire to allow further public access through adjacent greenway areas to enable increased public participation in the programs offered by the [center] for the benefit of City residents,” the resolution said. Commissioners Manolo Reyes and Ken Russell were pushing for more public access and new efforts to reach more youngsters. “We need a more active effort to reach kids in Little Havana and Allapattah,” Mr. Reyes said. A representative said the sailing center is working with the parks department to add more signage to draw attention to the public access. The organization is touting the new lease on its website. “Thank you for your efforts! The US Sailing Center Miami has a new lease,” reads the homepage. Ed Cabassa, president of the sailing center, wrote: “After a long process of meetings, negotiations, deferrals and Commissioner input, we were successful in acquiring a new lease for the US Sailing Center. The Schoonmaker Center will continue to fly the Olympic Rings at Kennedy Park. “This would not have been possible without the incredible support we received from the Sailing Community. Nearly 5,000 of you – from 32 countries and all 50 states – signed the petition confirming that the Center is an important part of the fabric of our sport and City,” he wrote. ”We look forward to working with the City of Miami, local residents and businesses to continue to provide an open facility for people to access the water whether it is in pursuit of their Olympic Dreams or their first sail on the Bay,” Mr. Cabassa wrote. This volunteer-based organization provides public access to Miami’s waterfront, along with public storage and launching, regatta hosting, team training and community outreach. The US Sailing Center Miami has hosted an internationally renowned Olympic Class regatta for 25 years, bringing thousands of world-class, Olympic-caliber sailors to the waters of Biscayne Bay. Is the youth sailing center at the Miami Yacht Club also on City property affiliated to the United States Sailing Center? They are also a training center for the U.S. Olympic sailing team.